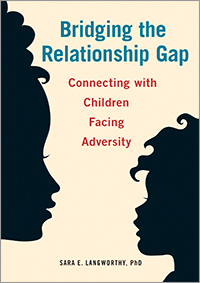 Dr. Sara Langworthy is the author of Bridging the Relationship Gap: Connecting with Children Facing Adversity, a book that explores human development and the importance of relationships. Dr. Langworthy provides the tools and encouragement to be a strong, positive, and nurturing adult to help children thrive. We wanted to know more about how Sara decided to write Bridging the Relationship Gap, how she became an expert in brain development research, and how she became so passionate about making science accessible. 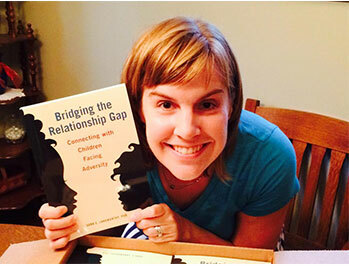 Don't forget to take a sneak peek at Bridging the Relationship Gap. What’s the story of how you became an author? It’s funny. Writing books about science for professional and public audiences was actually something I was interested in pretty early on in my psychology studies in college. I saw books that made science accessible to the public as very valuable in opening up fields of brain science and psychology to anyone who wanted to learn. Unfortunately, I was told pretty early on that writing those types of books wasn’t really valued in the academic world. So, I did what any prospective graduate student does - I shifted my direction to more basic research, because that’s where the opportunities were. In graduate school I studied brain and cognitive development primarily. I know the basics of how to run an electroencephalogram (EEG) and a Magnetic Resonance Imaging (MRI) machine. I learned that what it really means when people say “the brain lights up,” and, more importantly, what it doesn’t mean too. But I also spent part of my graduate career as part of the exhibit development team of the Wonder Years: The Science of Early Childhood exhibition at the Science Museum of Minnesota. I served as an early childhood science content expert, but I got to see how creative exhibit developers took the content and made it come to life. I learned there’s a complex process for translating the content of science into something that the public can identify with, learn from, and enjoy. And there’s nothing like seeing museum visitors interact with something you helped make, and see the light bulb moment when they understand the science behind it all. It’s awesome. That experience is what cemented my interest in making the science I studied everyday accessible for people working with children and families. So when the chance to write Bridging the Relationship Gap arose, I jumped at the opportunity. How did you approach writing Bridging the Relationship Gap? In my few years at the University of Minnesota Extension’s Children Youth & Family Consortium, I’ve worked on some pretty diverse projects. I’ve led a project with state-level policymakers across three states about child welfare and education policy, and a project partnering with a local elementary school in Saint Paul on instituting trauma-sensitive practices and environments. I’ve also written and produced several videos on topics like historical trauma, children’s mental health, and community-based partnership work (all of which can be found on CYFC’s YouTube Channel). If I’ve learned anything from those experiences, it’s that science has a role in the conversation about improving the lives of kids and families, but it should not and can not dominate the conversation. There is immense value in the experiences and expertise of professionals, policymakers, and children and families themselves. Frankly, scientists sometimes miss the boat when they think that promoting the use of science in practice and policy is a one-way street. Making science useful for the public requires conversations, not lectures. So my hope with this book has always been to provide something that’s scientifically accurate, but also practically useful. Thus, when I approached this book, I talked to professionals, practitioners and experts in child care, early childhood, and mental health to get real stories and practical examples of working with young children. I read a lot of materials written by people with extensive experience in early childhood care, especially in environments of trauma. I relied heavily on their experiences and expertise to guide the framing, strategies, and recommendations presented in this book. I’ve tried my best to make it as useful as possible. And really, if Bridging the Relationship Gap helps one person think a little bit differently about the kids they interact with everyday, if it teaches one person something they didn’t know about the science of early childhood, if it helps one caregiver see their child in a new light, then it’s all been worth it to me. I also know that a book is not enough. So the book’s companion website (www.drlangworthy.com) provides resources and additional materials from other people and organizations related to the content shared in the book. I’ve started my own YouTube Channel, Developmental Enthusiast, where I’m making educational videos on the science of child development, interviewing experts and educators, and collaborating with other creators on topics important to children and families. I created this channel to provide content that would extend the material covered in Bridging the Relationship Gap and provide short videos for educators and professionals to use with their students and clients. I suspect that traditional academia would raise an eyebrow at my desire to write books and make YouTube videos. But making science accessible has become increasingly important in today’s society. Brief and entertaining educational content is essential in effectively engaging learners in this digital world, and online video is one way to do that. And it’s important to me that the voices talking about science in public spheres include people who have spent years studying and thinking about their content. On a typical day you can find me...online. I spend most of my days in front of my computer reading, writing, thinking, or video editing, when I’m not in meetings. 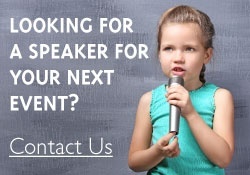 You can connect with me on Twitter (@DrLangworthy), YouTube (Developmental Enthusiast), Tumblr (Developmental Enthusiast), or my website (www.drlangworthy.com). I love talking with people, so please reach out! I’m always open to training or consulting opportunities either in-person or virtually. Please let me know how I can help make this book, and its related resources, more useful for your work. So what’s next for you? What’s on your bucket list? Essentially, I want to keep using my skills in whatever ways I can to I help people do their work better. I’ll keep working to make science useful for people working with children and families through my work at the University of Minnesota. I’m going to continue producing new videos on my YouTube channel because it’s just so darn fun. And I’d love to write another book at some point. I’m also a consultant and co-founder of The Exchange Loop organizational advancement consulting group. At The Exchange Loop, I get to help public facing organizations evaluate and solve their complex problems. And I love it. To be sure, my days are very full, but I like them that way. I often say I’m on team DO ALL THE THINGS. But I’ve always been eager to learn and try new things. I find the challenge really enjoyable. And at the end of the day, I want to keep doing the things I am passionate about, wherever that may take me. Plus, don't miss Sara's reaction to receiving the first box of her book. Learn more and see a full list of titles by Sara Langworthy.